Usually called bangle or Zingiber purpureum Roxb. 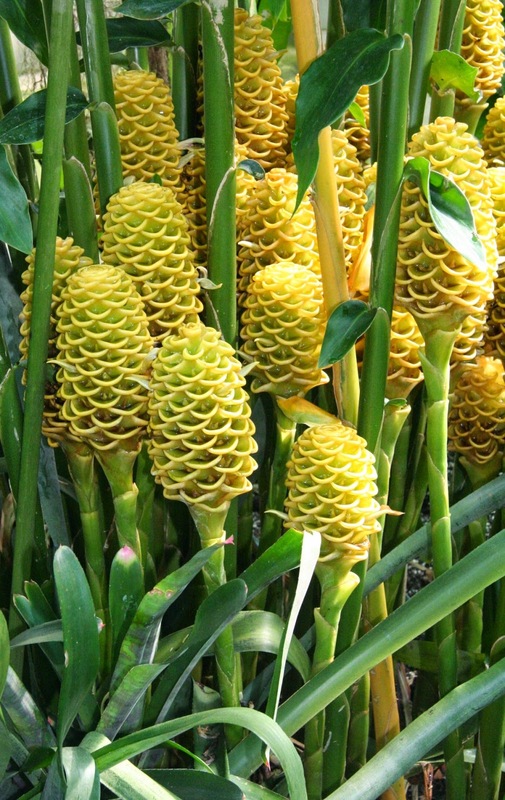 Description of the plant: Plants trunked false, such as ginger, which reaches 1.5 meters and include Clumping plants. Rhizome tastes spicy, bitter and unpleasant smelling yellow. Chemical Ingredients: Organic acids; minerals; fat; Gom albuminoit; sugar; Resin (bitter); Essential oils (Sineol, pinene, sesquiterpenes). Efficacy: carminative; Anti-inflammatory; analgesics; antipyretic. Simplesia Name: Rhizoma purpurei Zingiberis. (The drug is used as a rhizome and leaves). Method of cultivation: Using rhizome, maintenance is easy and requires little shade. 1/2 cup of hot water and 2 tablespoons of honey, 15 g fresh rhizome then washed and shredded, Toss well then squeeze and drink 2 times a day. Ginger scented kencur ( Kaempferia galanga ) each half washed and sliced ​​fingers, Rhizome bangle, ginger. Boil water with 1 cup clean up the rest of the half cup, strain and drink the water. Rhizome taste shredded added a little water until it becomes dough like mush used as apply on forehead. Rhizome bangle half fingers washed and shredded. Add water and cook honey 1 tablespoon each, squeeze, strain and drink 2 times a day. Rhizome fresh taste washed, shredded and then mixed with wine as a dilute slurry, sprinkle to part gets sick. Rhizome, wash and grate and sprinkle gets stomach. Rhizome bengle 3 fingers, black meeting 2 fingers, coriander seeds 5 and 5 pieces of betel leaves, washed, sliced ​​and pounded. Add 1/2 cups cooking water, squeezed, strain and drink.